Cattle rancher George O'Brien, thinking that he's emptying his six shooters in the direction of rustlers, apparently kills one of his own ranchhands. To make amends, O'Brien joins up with the dead man's father in trying to corral the crooks. Turns out that O'Brien is innocent of the accidental killing, proof of which comes none too soon to patch up the relationship between George and the late ranchhand's sister (Virginia Vale). 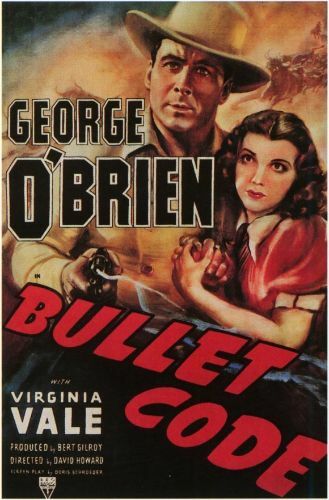 Bullet Code was one of the last of George O'Brien's budget westerns for RKO. He would soon gracefully hand over his holsters to new RKO cowboy Tim Holt.